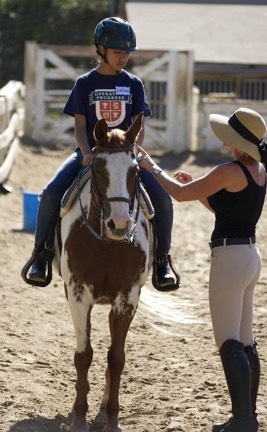 Through our Junior Committee, we are hoping to raise $28,500 to keep our therapeutic horse program running well, and continue to change the lives of our scholars! Merry Christmas to Monica with love. Donated in fond memory of Hunter Clarke. We have tried to do something similar here at Hernandez Ranch (Peck Park). Working with Parks and Recreation, there is too much red tap. This donation is in memory of Hunter Clarke. Just a token of support from Polytechnic School. Great work, Alexander Walsh! To support this good cause and friendship.